Whenever we give tours of the brewery, or anyone visits our office here, the one thing that seems to excite everyone the most is our barrel room. The expansive ocean of oak is not only a fascinating sight to see, but the secrets held within are full of intrigue and potential future favourites. To mark the release of Bourbon Aged Primal Cut, our first barrel-aged beer with the new "Barrel Store" 375ml bottle branding, I wanted to give you a head up on what can be expected in the coming months. I managed to get some time with our Barrel Manager, Steve Hoile, to lift the lid on the future of the Barrel Store. Symbiosis is a relationship between two or more organisms that live closely together. For beer ageing in wood, this is a perfect description. Especially when you consider that this is a brewed-for-barrel collab between Siren, Young Master and Black Isle. See it yet? It was Dom from Black Isle who came up with the name, which is more the name of the project itself, but I’m sure it will stick for the final product because it's genius. The beer itself is a Saison, brewed with Rooibos Tea. The entire brew went straight into red wine barrels, to pick up those beautiful deep red grape flavours. Last year, our Rainbow Project beer, Equilibrium, was a saison fermented in red wine barrels, and we think that worked tremendously. Steve tells me that this one is going to be a great beer for spring time, which is when we’ll be looking to get it out. Another collab destined straight for the wood came about when J Wakefield Brewing were in town all the way from Miami, Florida. J Wakefield don’t have a stout in their core range, but they make a lot of great seasonal stouts. 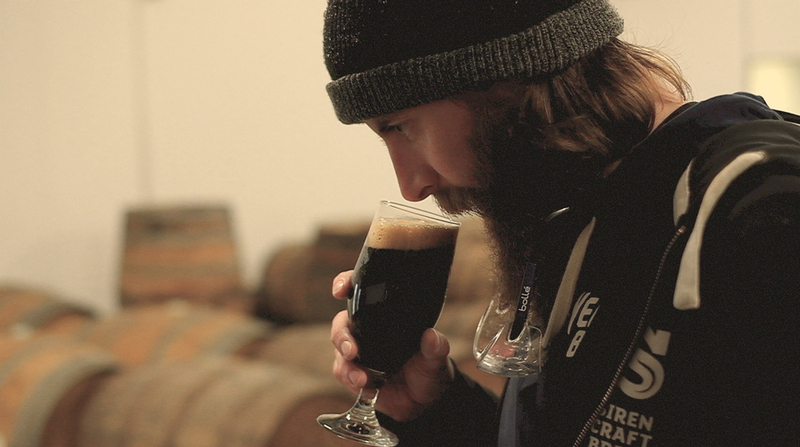 Being award winning stout makers ourselves, we wanted to make a big stout that we would then age. This one is dark, thick and hearty. It’s been sat in Bourbon barrels and will be ready to come out around Summer/Autumn time. Big, robust, barrel-aged stout in the sun? Hell yea. Get a new rule book. In 2018, we celebrated winning a World Beer Cup Silver medal for Odyssey 008. Hopefully, we can continue the trend with an awesome 009 blend. This year’s blend saw a bit of light last year at a few festivals and was received really well. At the time of writing, it has an Untappd rating of 4.03. In a similar vein to its predecessor, it is a sour blend, but this time with stout and added coffee. Steve describes this as a ‘Blended Dark Sour’, which I think sounds about right. 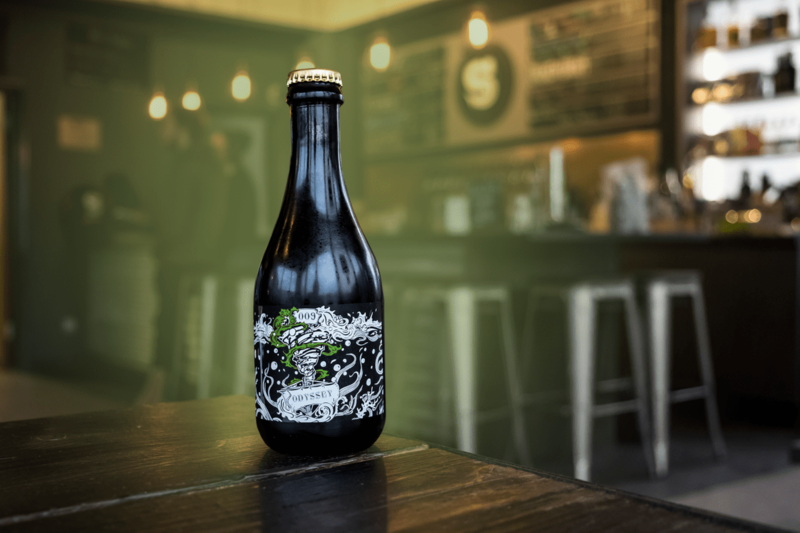 The coffee helps give it that little extra kick, making the stout side slightly thicker, but giving the sour edge a tang that leaves you thirsty for more. As for release, we hope to be getting Odyssey 009 out fairly soon, so watch this space! Our cocktail inspired barley wine with whiskey and citrus, Old Fashioned, was especially chosen to go into barrels. We knew that the additional ageing process in bourbon barrels would be an additional element that would make the whole thing kick that bit more. The end product will actually be blended with another bourbon aged sour, to really bring out those sharp citrus notes. The name? Of course it will be Re-Fashioned. Another one that will be ageing for a while is a little thing we brewed up with Wiper & True. You may remember last year, we brewed up Wilde Geest together, a Brett IPA. At the same time, we brewed up a high-gravity stock ale, which went straight into barrels, again, with Brettanomyces. Not forgetting the most recent editions, our Spiced Dark Cherry Sour, Saturnalia. The Imperial Stout Braggot we brewed with Superstition Meadery, Mind on My Honey. And our Yeastie Boys collab, which was a spontaneous fermentation. These will all be locked away until around 2021! Yes folks, Barrel Aged Caribbean Chocolate Cake will return in 2019. 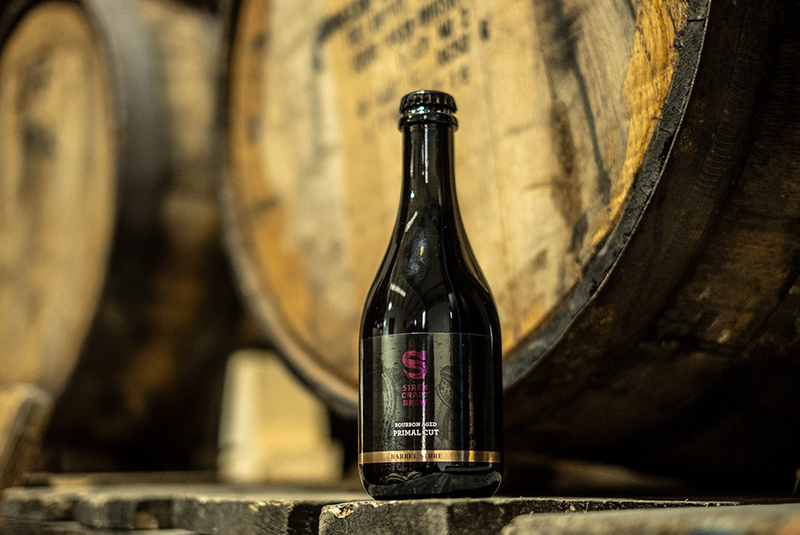 A batch was brewed especially for barrels that will age over the course of the year and be set for release in Winter 2019. We can’t wait… watch this space. Of course, those of you who are signed up to our E-mail List get early access to beers as well as the latest brew news etc. Not to mention, you get 10% off your next order when you sign up. Bourbon Aged Primal Cut is available now! Click this link to get yours.